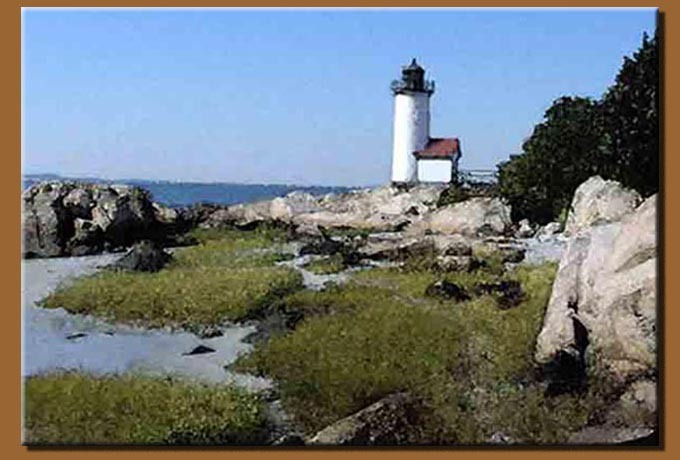 Annisquam Light, located at the North end of the Annisquam River, Cape Ann, Massachusetts. The station was established in 1801. The current lighthouse tower was built in 1897.